Hasbro and IDW Publishing are set to bring the world of the Ponies to comic books with My Little Pony: Friendship is Magic. Fans (and Bronies) will be very happy to learn that the new comic will feature all the ponies from the cartoon show in all new stories. The comic s promised to explore the same moral themes of the show while providing "themes and subject matter that older audiences can also appreciate". 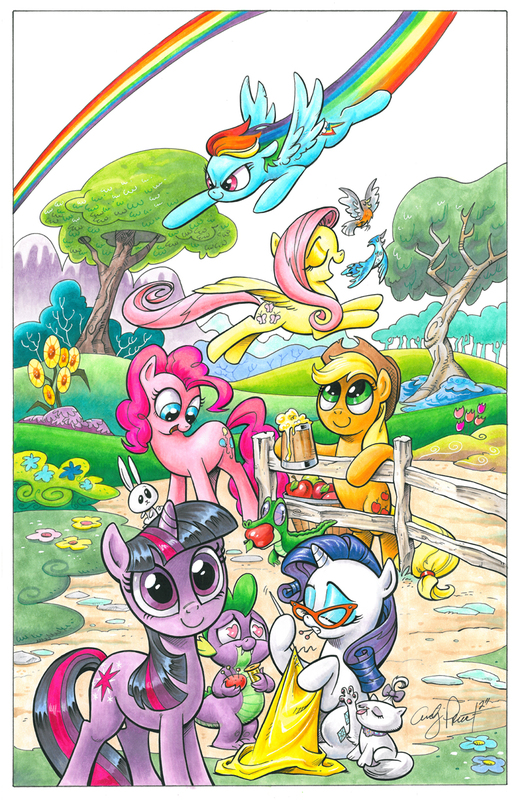 My Little Pony: Friendship is Magic will be written by (Marvel and DC alum) Katie Cook with art by Andy Price of DC fame. Fans should also be on the lookout for special covers as the run proceeds by the likes of Jill Thompson and Stephanie Buscema. The series will debut this coming November in friendly comic book shops everywhere.